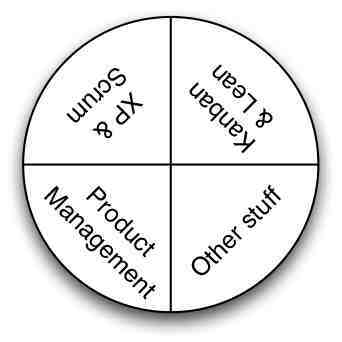 For a little while now I’ve been quietly talking about my new Agile method. The clue is in the name: Xanpan - pronounced “Zanpan”. 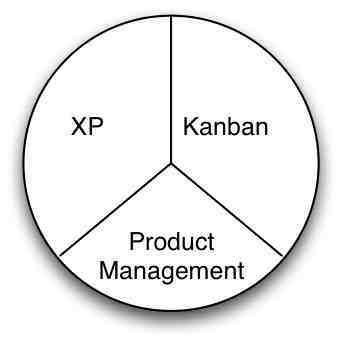 Most obviously Kanban and XP (Extreme Programming), its a fusion. I’ve tweeted and blogged about the Cornwall Agile Programme before - something I like to call the ‘Cornish Software Mines’. So it is with great pride that I’m please to announce that the programme has been nominated for an award. 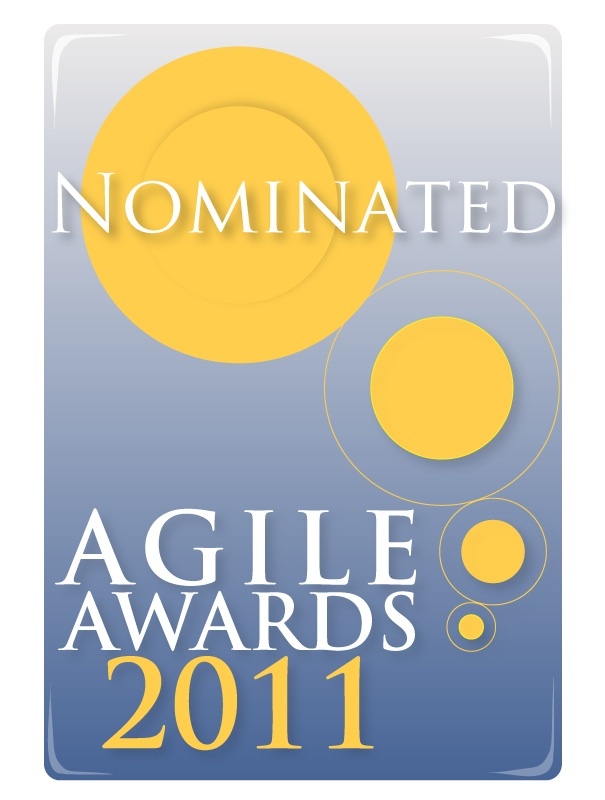 The Agile awards are presented as part of the Agile Business Conference and ‘Agile Cornwall’ has been nominated under the ‘Best use of Agile in the Public Sector’ - officially the programme is part of the ‘Convergence Programme for Cornwall & Isles of Scilly’ so the nomination is under this name. I’m still experimenting with Dialogue Sheets for Retrospectives (the download page, and my earlier blog entry) and so are other people. Of the feedback I’ve had so far it has been overwhelmingly positive. Perhaps people who aren’t positive don’t bother trying them. The sheets are free to download but I do request people register. My objective here is to obtain more feedback. Periodically, like today, I get the e-mail addresses of those who have downloaded and I send a polite note saying “Any feedback?”. How often do you do a retrospective? This is good to see, about 54% of people are holding retrospectives with the frequency you would expect from a Scrum, XP or other type of Agile team. But sadly the second biggest group is never holding retrospectives, 21% of people. And 10% are holding them rarely or very occasionally. Now think again, this data is not representative. 15% of people are not retrospective facilitators (e.g. Scrum Masters, Agile Coach, etc.). The people who download these sheets have an interest in retrospectives, this group is self-selecting. The implications of this are that an awful lot less than 54% of people are doing retrospectives with anything near the frequency one should expect from an Agile team. Given that retrospectives are the primary means of learning in an Agile team I suspect that means that an awful lot of teams are are not really practicing Agile as described in the books. I have long suspected that retrospectives are actually one of the more advanced Agile techniques and are far from common. I think this data supports that argument, but at the same time I think they are more common than I tended to think, maybe thats the progress of 3 years. Things didn’t go well, the understanding I came to from Benjamin’s story - although his might be different - was that the entrepreneur was very attached his business idea. It was pretty well formed and he could imagine it working. In popular culture entrepreneurs are often seen as iconoclasts who battle doubters, naysayers and banks to bring their ideas to life against the odds. Benjamin was just another doubter. Now I tend to agree with Benjamin’s approach because it is very difficult to tell if a new business idea, indeed any project, will work until you try to build it. But building it is expensive so I advocate a “Try, fail fast, fail cheap, move on to the next thing” approach - I don’t think this is that different to lean start-up thinking but as I’ve not read the lean start-up book I don’t really know. Thus, I advise a Mao like approach to corporate projects, “let a thousand flowers bloom” - start multiple small projects, small teams and use portfolio review to remove those that don’t seem promising and reallocate resources to those which do seem promising - or launch more experiments. Unfortunately, like the entrepreneur, people get very attached to the idea of a project so it gets momentum. Big corporations respond by only starting projects in which they have a high degree of confidence. That means they do a lot of pre-project work - planning, designing, etc., this in turn makes it difficult and expensive to start projects, which in turn means that any project that does get started already has momentum. And it means that once underway the project finds it difficult to cope with change. The Agile approach - try, gather data, evaluate, or my “fail fast, fail cheap, retry” approach are not going to go down well with the kind of pig-headed, obstinate, passionate, do-anything-it-takes, approach which has made many successful projects a success. Quite the opposite. What I am saying is: Don’t rely on hope to get your projects done, use data - be empirical not emptional. I’ll let you, dear reader, decide for yourself on that hypotheses. If you have any evidence - to support or disprove - my hypothesis please add a comment below.